KNOXVILLE, Tenn. — With tip-off and TV information set for three final games, the 2018-19 Lady Vol basketball schedule was finalized on Wednesday. 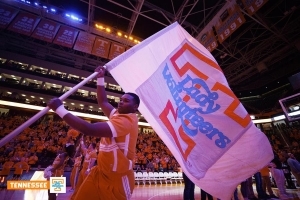 The Lady Vols’ game at Oklahoma State on Dec. 2 will tip at 4 p.m. ET (3 CT) on FS1. UT will play host to Stanford on Dec. 18 at 6 p.m. ET with SEC Network televising. Tennessee will close out the regular season at Ole Miss on March 3 in a 3 p.m. ET (2 CT) contest streamed by SECN+. The Big Orange women play their only exhibition game on Nov. 5, as Carson-Newman visits Thompson-Boling Arena at 7 p.m. ET. The Lady Vols open the regular season at 2 p.m. ET on Nov. 11 with a home contest vs. Presbyterian. Both games will be streamed on SECN+ and every game can be heard on Lady Vol Radio Network stations and via UTSports.com. – SECN+ games are online broadcasts and are available only on WatchESPN via computers, smartphones and tablets. Xbox One to fans who receive their video subscription from an affiliated provider.